The sign in the field amused me. 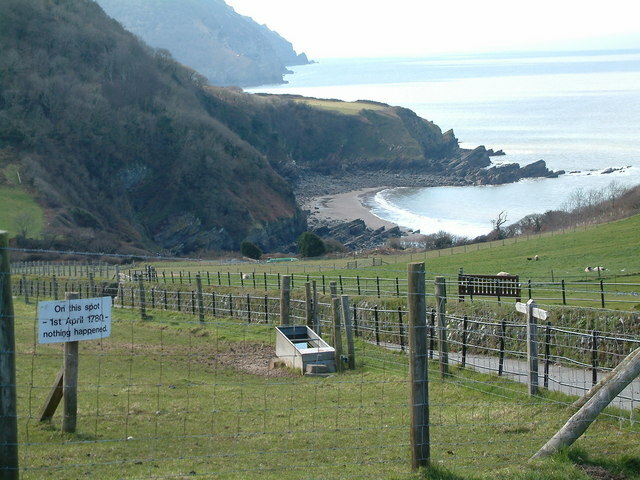 Crock Point is at the far end of Lee Bay, and Woody Bay is beyond it. © Copyright Robin Lucas and licensed for reuse under this Creative Commons Licence. This page has been viewed about 169 times.